A crooked smile isn’t just unsightly; it can dramatically affect your confidence and self-esteem. If you’re constantly finding an excuse not to smile, it’s about time you consider what treatment options are available to you. At The Berkeley Clinic, we have a range of teeth straightening treatments available for all kinds of conditions. Here at The Berkeley Clinic, we’re committed to helping patients achieve the smile of their dreams. Our award-winning clinic is one of the most experienced and best equipped around, ensuring you’ll find the solutions you’re after, no matter what is causing you to be unhappy with your smile. There are numerous causes for misshapen teeth and crooked smiles, including dental crowding, uneven spacing of teeth, underbites and overbites, deep bites and more. Once you’ve booked in for a consultation and examination, our dental experts will fully assess your personal situation before outlining the options available to you. We appreciate that every patient is unique, so you’ll only ever get a treatment plan that’s tailored to you. For adult patients, braces can seem like an extreme and uncomfortable option in the effort to straighten teeth. Thanks to the latest innovations in orthodontic treatment, this simply isn’t the case. Here at The Berkeley Clinic, we are specialists in Invisalign treatment, offering patients a less invasive, more comfortable and more effective way to remedy crooked teeth and misshapen smiles. Invisalign braces are customised to each individual, ensuring maximum comfort while they’re being worn, and optimum straightening results. These clear braces are moulded after an in-depth 3D scan of your teeth, ensuring teeth are straightened in all the right places. What’s more, these clear braces can be easily removed when eating, drinking, brushing and flossing, meaning you won’t have to worry about damaging your aligners. 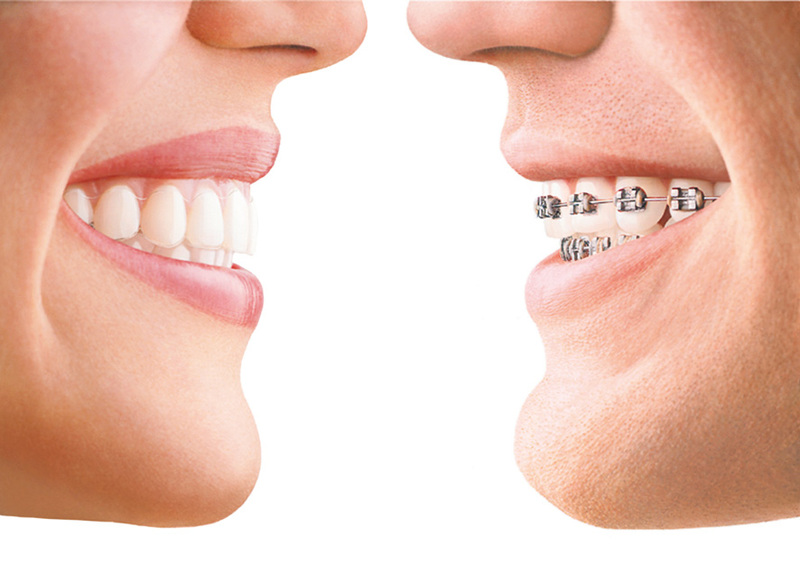 You’ll be given a new aligner every few weeks as your teeth slowly migrate and straighten, with each set of braces expertly customised to you and you alone. There’s no one-size-fits-all solution to teeth straightening, so you can expect to pay differently depending on the treatment plan you go for. At The Berkeley Clinic, we’re all about transparency, which is why our team will guide you through affordable options upon your consultation. We also offer a range of flexible payment options to all of our patients, perfect if you’re interested in pursuing more advanced and involved dental treatment. Ready to release the smile you’ve always dreamed of? It’s time to get in touch with the team at The Berkeley Clinic. Call us on: 0141 564 1900 to speak to one of the team and arrange a consultation, or drop us a note via our online enquiry form. Alternatively, you can speak with one of our friendly representatives via our live chat function. This entry was posted on Thursday, November 17th, 2016 at 4:05 pm	and is filed under Cosmetic dentistry, Orthodontics. You can follow any responses to this entry through the RSS 2.0 feed. Both comments and pings are currently closed.